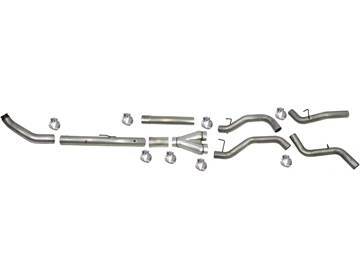 FloPro's 4" Aluminized Steel Turbo Back DUAL exhaust kit for your 2008 - 2010 Ford 6.4L Powerstroke NM / No Tips. EC-CC/SB-LB. 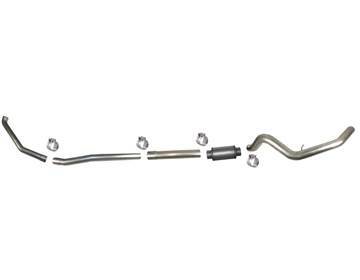 Note: Dual tail pipes may not fit or require modifications with suspension mods and/or airbags. 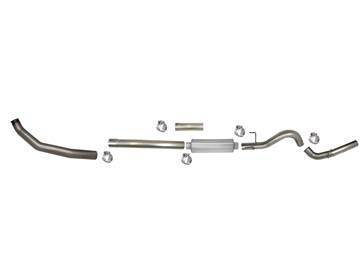 FloPro's 4" T-409 Stainless Steel Turbo Back DUAL exhaust kit for your 2008 - 2010 Ford 6.4L Powerstroke NM / No Tips. EC-CC/SB-LB. 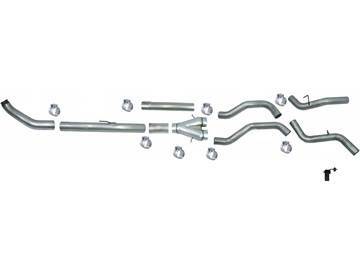 Note: Dual tail pipes may not fit or require modifications with suspension mods and/or airbags. This 4” aluminized exhaust kit from FloPro fits your 2007 - 2009 Dodge 6.7L Cummins. It comes with a muffler but has no exhaust tip. 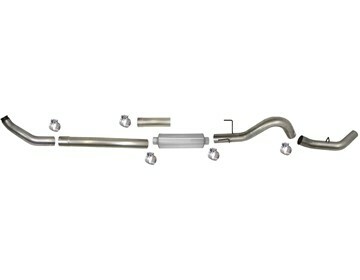 A tuner with emissions delete capability is required. This aluminized 4" turbo back exhaust kit from FloPro fits your 2003-2007 Ford Powerstroke 6.0L diesel truck. 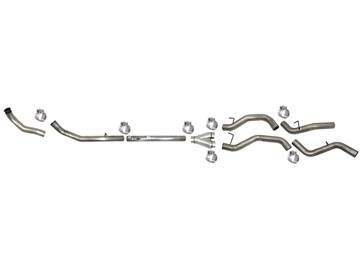 Fits Extended Cab and Crew Cab Short/Long Box SRW and DRW trucks equipped with an automatic transmission. Includes a muffler but no exhaust tip. 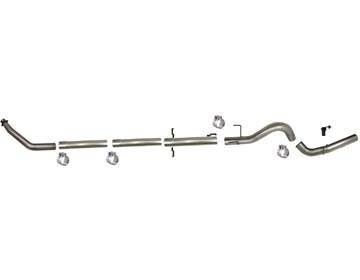 This aluminized 4" turbo back exhaust kit from FloPro fits your 2003-2007 Ford Powerstroke 6.0L diesel truck. Fits Extended Cab and Crew Cab Short/Long Box SRW and DRW trucks equipped with a manual transmission. Includes a muffler but no exhaust tip.